This Hi-Shok +P+ JHP load is designed to meet law enforcement needs but is made available to the commercial market through a contract overrun. This +P+ ammo has a max average pressure of 38,000 PSI. I thought these were pretty good in all and the price is right. 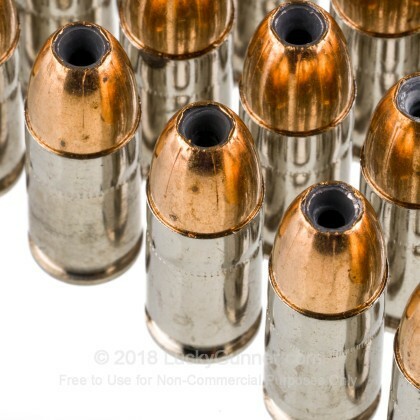 Theyre duty power rounds but you still have to hit what youre shooting at. They give more of a blast and an impressive fireball in low light shooting. Like a fire breathing dragon out of a 19. Clean and accurate out of my Glock 17. No malfunctions of any kind. Proven Self-Defense Ammunition. From a L.E.O. As a Law Enforcement Officer, these are what i keep loaded in my Glock 19. These have a proven street record, going back decades. These are the 9BPLE, do not get these confused with the regular 115 hi shoks, or the XM9001's. If your gun can handle this pressure, THESE are what you want. Very fast (1350+ fps ) and very hard hitting (450ish FT LBS. ) The terminal ballistics of this round are absolutely devastating and i would, and continue to bet my life on these. Clean, accurate, and very powerful. Get these because they are not easy to find. 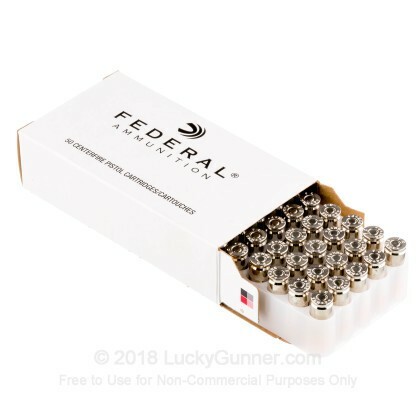 This ammo is great in my 17L and the service was excellent as usual. 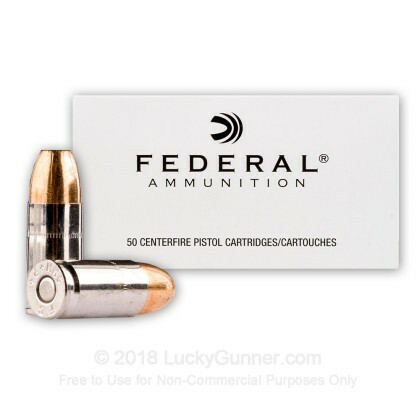 This an any white box ammo in my opinion is great value an 99.9% of the time you are getting Federal or Winchester's top ammo just in the government white box what's better is you get 50 rounds insted of 20. 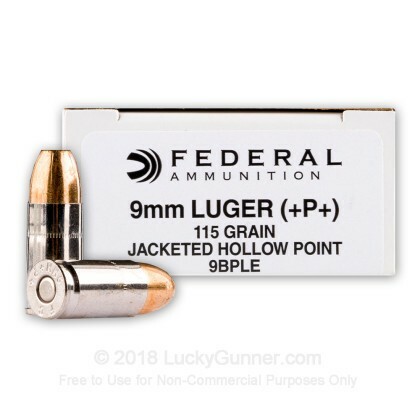 I like a 124 grain bonded 9mm round in a +p or +p+. I carry FNS PISTOLS in 9mm an 40 S&W just what suites my fancy that day. 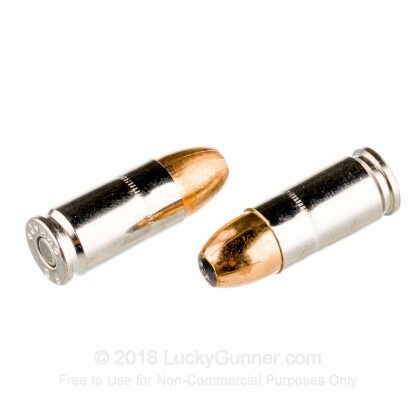 These rounds are excellent to train with or EDC round. I can assure these won't let you down if the time every comes if you have to defend your self an family. Yes I would highly recommend this round to anyone who owns weapons rated to shoot this hot of a load. As usual these our fine rounds and shot and performed as expected.. Shot this ammo through a Glock G26 and was very controllable for a +P+ round! Would and will buy this again for my carry round. 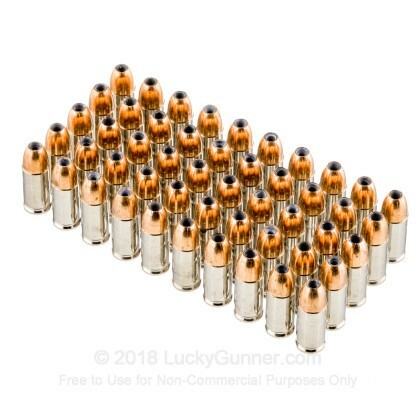 I carry a 17L that loves this ammo. No local Gun Shop will stock it for me. Easy online ordering, great price and fast delivery. I will be back for more. Great ammo real powerful ! Lucky Gunner not only had this ammo in stock they were much cheaper than anyone else. I love shopping here. I first came across this round several years ago when there was a government overrun and some of it became available to the public. It's hard to find and I try to get a few boxes of it whenever I can. Many manufacturers will warn against using this round because of its apparent tendency to subject the weapon to undue wear. These are higher pressure rounds, so they should only be used in a pistol that is rated for it. We also have this 9mm - +P+ 115 Grain JHP - Federal Hi-Shok LE - 1000 Rounds ammo in stock in a bigger quantity.